These helpful tips will ensure you are prepared to take the leap into homeownership! Making the decision to purchase a home with your significant other is a big step, so congratulations to you both! 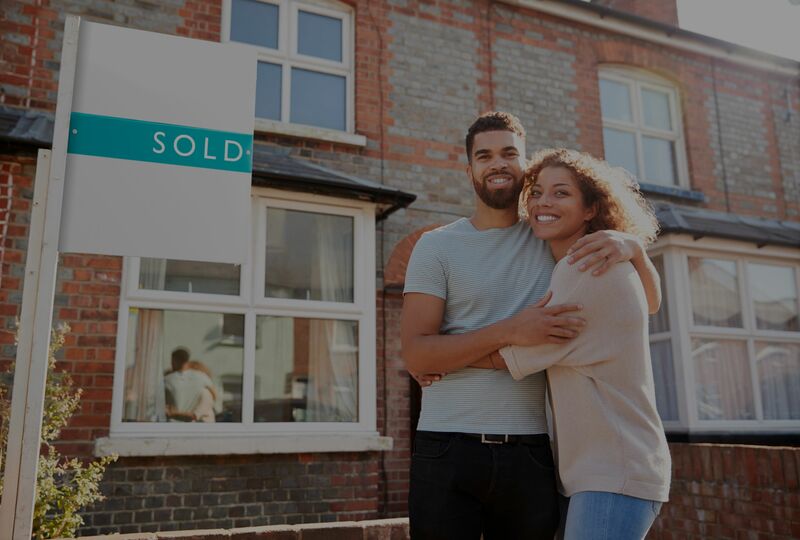 Since the process of purchasing a home can arouse feelings of anxiety, we have compiled several tips to help you begin house hunting with confidence. Go to a few open houses – Attending an open house with your significant other is a great way to determine what you do and do not want in a home of your own. For example, you attend an open house in a two-story home that boasts your ideal three bedrooms and two bathrooms. However, you notice there is no bathroom on the primary level of the home. You and your spouse agree that this is a great inconvenience. Going forward, you will be sure to look for a bathroom on each level of the home. After attending the open house, you’ve been given an idea of what comparable homes in the area may cost and you have a better idea of what you want in a home. Make a list – This list should not only include what features you want in a home, like a bathroom on each floor for example but also what features you want around your home. Are you looking for a home near a park, within walking distance to popular restaurants or in a good school district? Remember, the one thing you cannot change about a home is its location! Compiling this list will help you, and your realtor, find a home that you are sure to be happy with in the future. Find a realtor – This is arguably the most important step in house hunting. Your realtor should take all of your needs into consideration, and provide you with professional advice throughout the house hunting process from start to finish. Working with someone who has over ten years’ experience in the industry and a reputation for being “the realtor that cares” is certainly taking a step in the right direction! Hire a moving company – If you do not know how long it will be before you move into your new home you can prepare for the impending move in one of two ways: you can pack your belongings yourself, or you can hire a moving company to pack and move your belongings for you. If you are condensing two households or purchasing a foreclosure or a short sale, hiring a moving company will save you the time, money, and energy it would cost you to do it yourself. Because foreclosure and short sale properties typically take longer to close, hiring a moving company prevents you from living out of a suitcase in a house full of boxes. It gives you time to focus on more important things, like what color you want to paint the living room and where the couch should go. Protect your investment – You have heard all about the importance of homeowners insurance, after all, it protects those brand new stainless steel appliances you got as a housewarming present from your parents. Yet, you haven’t given much thought to whether or not you could afford your mortgage or the utilities without your significant other’s income. While we’re not suggesting you’re going your separate ways, we are suggesting that it might be time you got life insurance. With a life insurance policy, you’ll be sure to protect your investment and find comfort in knowing that the home you share together will always be yours. Prep for Remodeling – While you won’t know a lot of what needs to be done until you get the home, there are a lot of things you can foresee. If you’ve made the list mentioned earlier then you will have a good idea of things that you’ll want to be done that are unique to you. To avoid the lag time, it’s a good idea to prep for some things ahead of time. For example, one thing homeowners usually forget about is their air conditioning. Most homes come with old A/C units that aren’t very energy efficient and can run up your energy costs. It’s a good idea to shop for a new air conditioner prior to buying a home to get a good idea of what it will cost. This way you can build all this data into your budget. If you decide to build a home from scratch, maybe ductless A/C is the way to go! Buying your first home is an exciting but time-consuming endeavor. Always make sure you’re working with a professional as well as talking to experienced homebuyers in your circle to get an idea for their experiences. Always do your due diligence because a home isn’t something you want to have buyers remorse for. If you need help shopping in the Boca Raton area, call Chance Realty today! Call 561-306-6372 to Speak to a Realtor Now!